In response to an apparently dangerous situation that threatens to kill the Woodhaven-Richmond Hill Volunteer Ambulance Corps (WRHVAC), there will be a rally in Woodhaven on Sunday to request swift and decisive action from city agencies. The rally will occur on Sunday, March 2, 1 p.m., in front of the Ambulance Corps, which is located at 78-15 Jamaica Avenue. 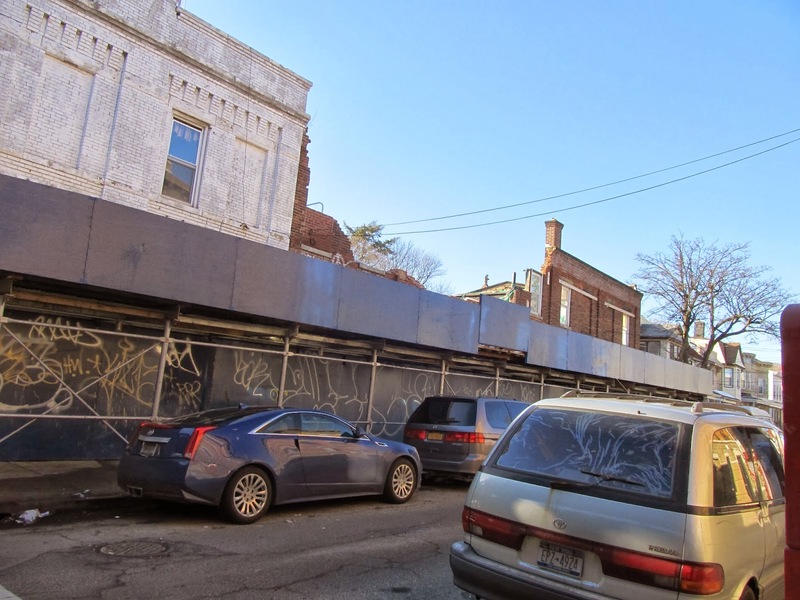 On April 12, 2013, the second story and facade of the building at 78-19 Jamaica Avenue collapsed, pouring rubble all over 79th Street and destroying a car. Miraculously, nobody was injured. The collapse badly damaged the WRHVAC headquarters next door, and forced the Woodhaven-Richmond Hill Senior Center to move its operations off the Ambulance Corps's premises, thus depriving the WRHVAC of much-needed rental income. Before its collapse, the building next door to the Ambulance Corps had been cited for numerous violations, and the Department of Buildings had issued a partial vacate order. But the problems remained unresolved until the collapse, which the Fire Department reportedly attributed in part to heavy rainfall. Now, over 10 months later, more fines have accrued and an arrest warrant has been issued for the owner of the damaged building, but the edifice remains a serious threat, both to the WRHVAC and to residents and neighbors. Recently melted snow from the collapsed building has caused water to flood into the Ambulance Corps headquarters and might have compromised its structural integrity. "I heard wood creaking," said WRHVAC President Kathy Sexton Dalbey, who said she was "afraid" and called the Fire Department, who told her a wall appears to have shifted. "This is the first time in almost 30 years that I'm panicking." The rally will call on city agencies to secure the site properly so that it will no longer pose a danger to residents and neighbors. The rally will also call attention to the plight of the Ambulance Corps, an organization that has served Woodhaven and the surrounding communities for almost half a century. The Ambulance Corps's existence is imperiled by the damage it has sustained and the ongoing threat from the neighboring property. "It is shameful that this problem has stretched on for as long as it has. It's time for the city to resolve this once and for all," said Martin Colberg, president of the Woodhaven Residents' Block Association (WRBA). "Not only does the current situation put us all at risk -- every pedestrian who passes by, every car that drives by -- but it might also kill the Ambulance Corps, which would be a terribly unfair outcome. The city must take action now." James Coccovillo, chairman of Community Board 9, confirmed that the WRHVAC headquarters is being further damaged by the collapsed building. "Again, we have problems with the collapsed building, with tons of water pouring off it from the snow. A great deal more of additional damage is being done to the Ambulance Corps because of this structure," Coccovillo said. "Something has to be done now with this building. The Buildings Department must step up and do what it has to, to either take it down or repair it." The WRBA calls on anyone interested in or affected by this dangerous situation to attend the rally.